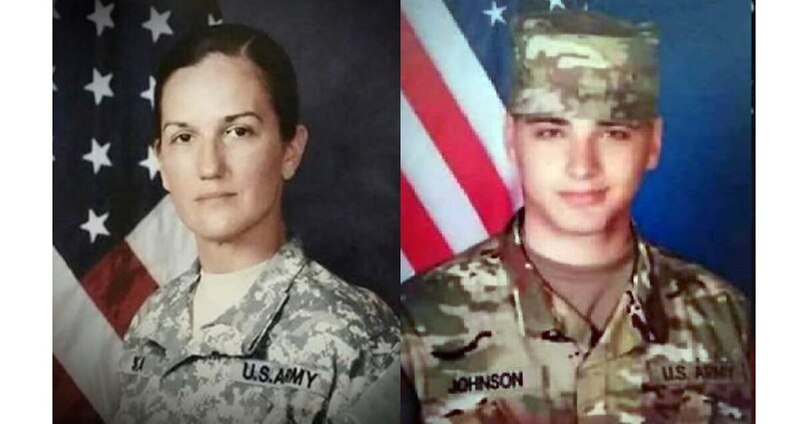 The two soldiers killed in a vehicle accident in Kuwait on March 5 are returning home to the St. Louis area Monday, local news reports said. The remains of Sgt. Holli Bolinski, 37, and Spc. Jackson Johnson, 20, were returning on separate flights. The aircraft carrying Bolinski’s remains was to arrive Monday afternoon at Scott Air Force Base, Illinois, reported KSDK.com of St. Louis. The wife and mother was from the town of Pinckneyville, Illinois, and mourners and others planned to line Route 127 toward Pinckneyville in honor of her return, the report said, adding that dozens of people were placing flags along the route on Sunday. The flight carrying Johnson, who was from Hillsboro, Missouri, was to arrive at St. Louis Lambert International Airport, the report said. 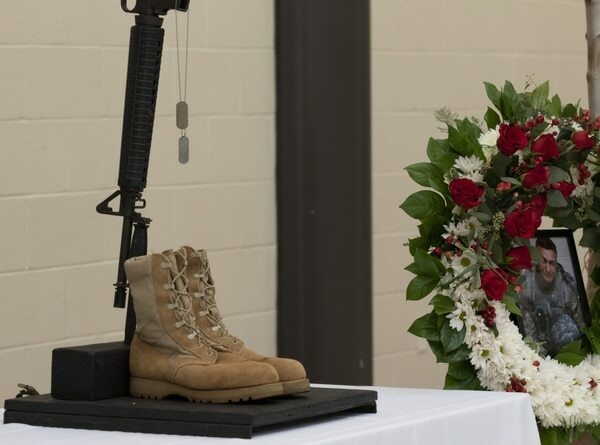 Dog tags and boots are displayed in honor of Spc. Jackson Johnson at a memorial service in Mount Vernon, Illinois, March 16. Soldiers of the 419th Movement Control Battalion paid tribute to Johnson and Sgt. Holli Bolinski at the ceremony. 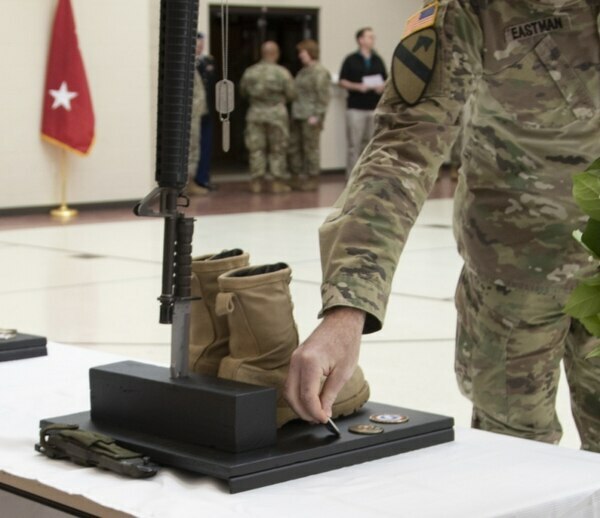 The soldiers were assigned to 657th Transportation Company, 419th Transportation Battalion, 103rd Sustainment Command, an Army Reserve unit out of Mount Vernon, Illinois. The soldiers were deployed to Camp Arifjan. Sgt. Maj. Ross Eastman of the 1st Theater Sustainment Command places a command coin in honor of Sgt. Holli Bolinski at a memorial service March 16. They were traveling in a vehicle when it collided with a civilian commercial truck, according to a release from the 184th Theater Sustainment Command. A preliminary report indicated a civilian water truck hit the vehicle carrying the soldiers, KSDK.com reported. Bolinski, Johnson and a third soldier were medevaced to U.S. Military Hospital-Kuwait, and the third soldier was medically evacuated from Kuwait. Bolinksi and Johnson were each posthumously awarded Meritorius Service Medals. A funeral service was planned Thursday for Bolinski, KFVS12.com reported.